Earlier this year, SOS Kit Aid and the Lords Taverners donated a large amount of cricket equipment to the HCA so that we could put it to good use. We think we found their right place: at a ceremony held in the middle of the Tri-Nations Cup, we handed the equipment over to representatives from the Fót and Bicske refugee camps, and to their respective cricket teams. This ceremony will be followed up by an exhibition game between these two teams this weekend, now all kitted up and ready to show the world their full potential. We are happy to receive Croatia and Poland for a friendly T20 tournament this weekend. Teams are all ready, weather forecast is fair, no rain is expected, so nothing can stop some serious cricket. Even our flood affected GB Oval is ready now after a full day of community work of dedicated cricketers. All 3 national teams will play 2 matches, and the best two will decide the cup in a final on sunday. HCA Board had its full official meeting last week. After discussing the massive agenda, the Board issued its list of resolutions. Please find the document attached. Giuseppe Verdi's Falstaff premiered last week in the Hungarian State Opera, where one of the major characters - Fenton - happens to be a cricketer. Fenton's costume was provided by and his design was consulted with the Hungarian Cricket Association. Read more about Cricket in the Opera? 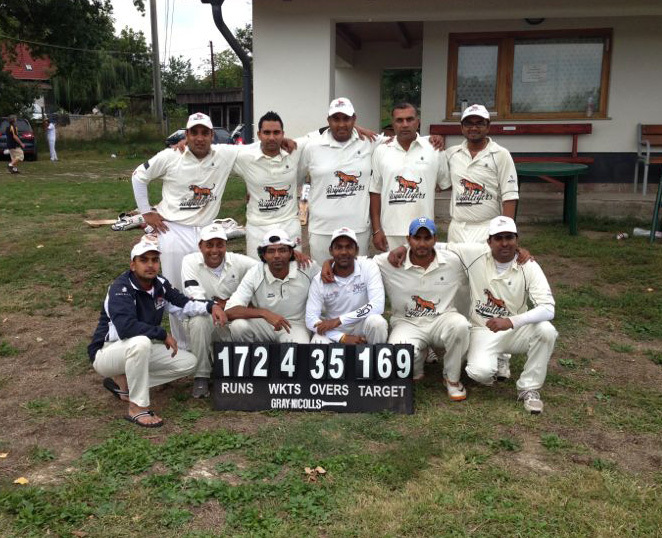 By defeating the Budapest Falcons 172/4 168/ao, the Royal Tigers have effectively won the MPI 40 first divison of the Hungarian Cricket Association, even though they still have a game to play against Phoenix on September 21. Congratulations! 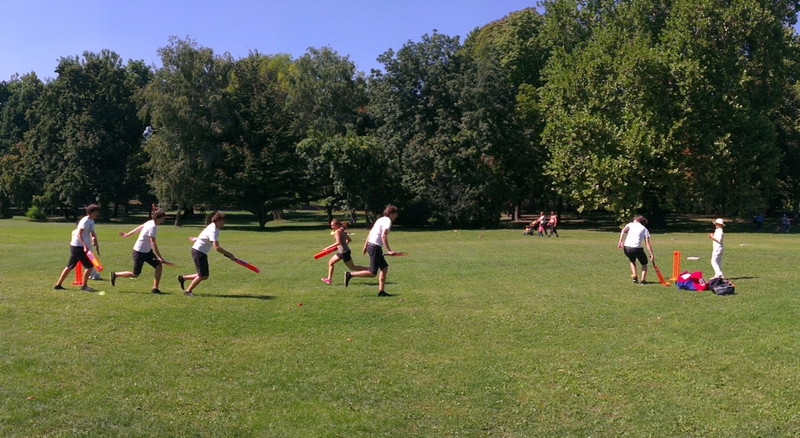 A total of 28 cricketers of all ages and abilities gathered for a fun and friendly day of cricket at KAC Budapest on Sunday 8 September. Three teams were featured playing each other in three Twenty20 matches (though the last game was shortened slightly to 15 overs a side in order to finish before it got too dark). HCA was invited to the biggest football festival of Hungary this weekend, where we had the chance to promote our brilliant game. We did so with great enthusiasm, from 9am till 7pm. About 3000 visitors saw our displayed Cricket Factory gear and SOS KitAid, The Lord's Taverners' bright orange bats and stumps on a nice football ground, and a real good number of kids and adults had a chance to try out the game during the day. All major news and sport portals reported toda'ys big football festival and celebration, where cricket was the official guest sport. Our detailed coverage and gallery will follow soon, in the meantime please read the articles in our News section.